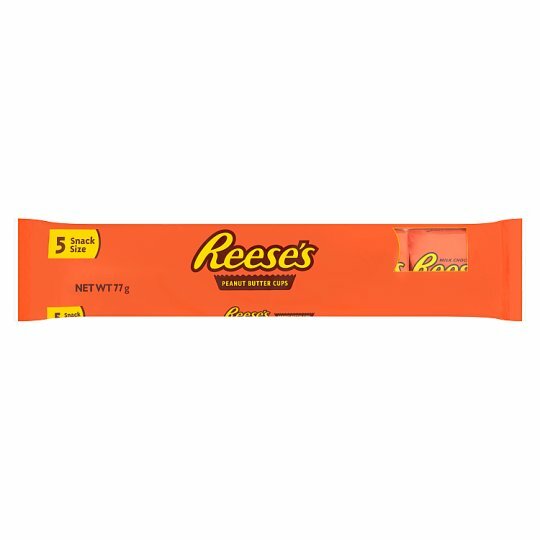 Reese's Peanut Butter cups are a classic candy collaboration; the perfect combination and chocolate and peanut butter. Nothing goes together better than Reese's Peanut Butter and a creamy milk chocolate flavour coating. To keep this product in perfect condition store in a cool, dry place (16 °C to 18°C) and consume before the date given.